﻿Century Pacific Group & RS Po Foundation has been MovEd Health program’s partner since 2013 for in class feeding, five days a week in selected MovEd Learning Lab sites in NCR and Bicol where there are existing kitchens. Century Pacific Group (formerly Century Canning Corporation) has business interests in overseas food distribution, frozen processed meat manufacturing, coconut water private-label export, restaurant operations, and real estate development. It also serves as the parent company of listed Century Pacific Food, Inc. Century Pacific Food, Inc. (PSE: CNPF) is the Philippines’ largest canned food company, engaged in the development, marketing, and distribution of processed fish, meat, and dairy products. Its brands, which include Century Tuna, Argentina Corned Beef, 555 Sardines, and Birch Tree, have established market-leading positions and are well-recognized by Filipinos both locally and abroad. CNPF also produces private label tuna products for export to major overseas markets. The Company continues to be the leading Philippine exporter of tuna products according to data from the Philippine Bureau of Customs. The Foundation is his way of giving back to the community and to the many loyal and dedicated consumers of the products of Century Pacific Group. The CPG-RSPo Foundation, Inc. partners in the existing Feeding programs of various Socio-Civic groups, Non-Governmental Organizations (NGOs) and Foundations by donating its canned products. The KAIN Po Feeding Program which stands for Kalusugan at Isipan Naalagaan was launched to officially brand the Foundation’s Feeding initiative which aims to alleviate malnutrition and hunger and to nourish children by not just feeding the body but also the mind. 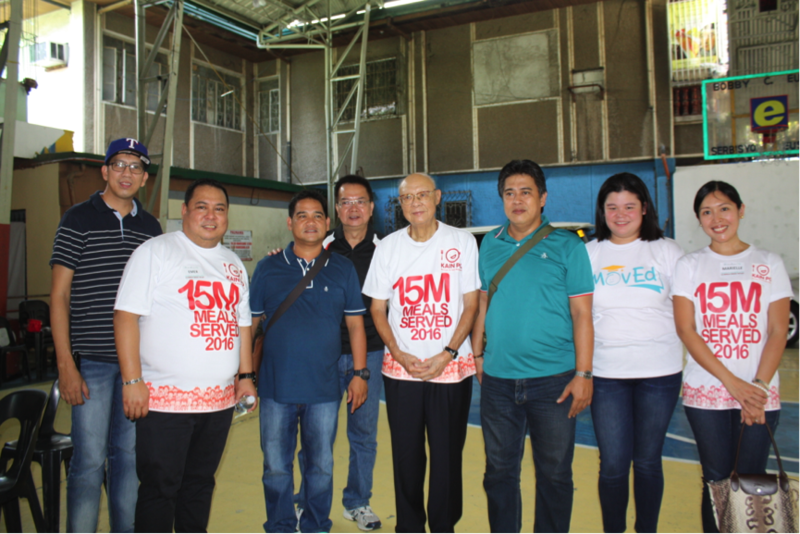 Emerson Villarante, Barangay Captain Barok Alvarez, Richard S. Po, Alex Eduque, Marielle Po and kagawads of Barangay Maybunga, Pasig celebrating Century's 15 million meals served. A feature on Alexandra Eduque by Taste Company. The Philippine Tatler teams up with MovEd for a fundraising event. copyright © 2014-2017 moved.org.ph All rights reserved.